Village Stability Operations (VSO) was an attempt by United States special operations forces to establish security, governance, and development in key critical districts in remote areas of Afghanistan. Typically, these districts were in regions of Afghanistan where the Coalition conventional forces and the Afghan National Defense Forces (ANSF) did not have a robust presence and where the establishment of security in the district was considered critical. The Village Stability Operations was an effort to, at the remote and rural level utilizing a ‘bottom-up’  approach, support the International Security Assistance Force (ISAF) counterinsurgency campaign. Early Community Defense Initiatives in Afghanistan. The U.S. Special Forces community made several attempts to form local community defense forces in Afghanistan. Most of these ventures had false starts for a number of reasons to include lack of Afghan government support, lack of support from high-ranking U.S. conventional (non-SOF) officers, and limited funding, manning and resources. Some of these early local defense programs included the Afghan Public Protection Program (AP3), Community Defense Initiative (CDI), and Local Defense Initiative (LDI). Village Stability Operations gained momentum and acceptance through the publication of a series of articles  and books  about local defense at the community level, a realization among the Special Forces community that Direct Action (DA) missions combined with HUMINT was not going to defeat the insurgency, and the push by General David Petraeus (then commander of ISAF) to get President Karzai to accept the program. One positive aspect of VSO over AP3, CDI, LDI and other programs was the tying in of ‘security’ with ‘development’ and ‘governance’ for a comprehensive approach to counterinsurgency efforts. Village Stability Operations Platform. SOF teams conducting VSO would usually consist of 12-16 personnel. U.S. Army Special Forces detachments had 12 personnel; while the Marine Special Operations Teams (MARSOC) and Navy SEALs would have an equivalent number. In addition, the SOF teams would have a great number of ‘enablers’ to assist them in the VSO mission. Enablers. The SOF teams would typically have a number of ‘enablers’ to include mechanics, interpreters, SIGINT, military working dog teams, medical teams, Civil Affairs, Tactical Psyop Teams (TPTs), one or two intelligence analysts, cook, and possibly a Cultural Support Team (CST). Security. The SOF team would work with the other security and military organizations in their operational area in the conduct of Village Stability Operations. These included Coalition forces, elements of the Afghan National Police, and the Afghan National Army. Each district had a small district police force (usually 30-90 personnel) who were members of the Afghan National Police (ANP). The District Chief of Police (DCoP) would be a key player for the SOF team to interact with. Sometimes there may be an Afghan National Army (ANA) company (tolai) or battalion (kandak) nearby. This collection of security forces would also be a key part of the SOF team’s approach to establishing security and stability in the district and undermining the insurgents influence and control. Many times, when establishing a Village Stability Operations program the VSO platform would come under intense insurgent pressure. Afghan Commandos, advised by a U.S. Special Forces team, would conduct clearing operations in the VSO operational area. The Afghan National Army Special Operations Command (ANASOC) has (as of mid-2016) ten Special Operations Kandaks (SOKs) located across Afghanistan. Afghan Local Police. 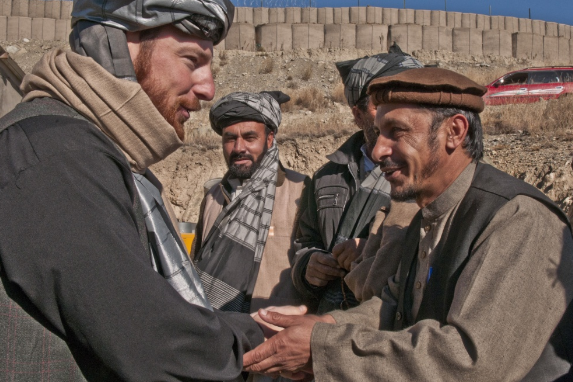 An integral part of the VSO program was the Afghan Local Police (ALP). This was a local community defense force with limited authority, training, weapons and equipment that was designed to be defensive in nature. The ALP were recruited from the village, community, or district in which they would serve as ALP members. ALP Establishment Process. There was a mandated process for an ALP unit to be established which required the acceptance of the local community (through elders, power brokers, shuras, etc.) before it would be stood up. 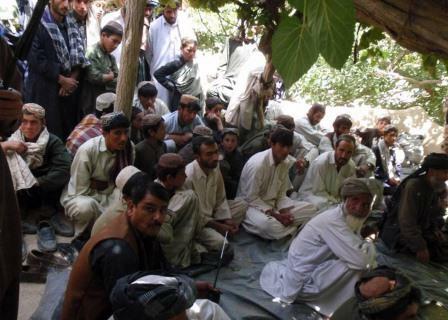 The village elders, government officials, and Afghan National Security Forces representatives would conduct a ‘validation shura’ to officially agree to being an ALP program. The members who would be selected as ALP would be vetted by the local community as well as pass a background check by national authorities. The training (initially provided by U.S. SOF) was three weeks – sometimes conducted locally and other times at regional locations. 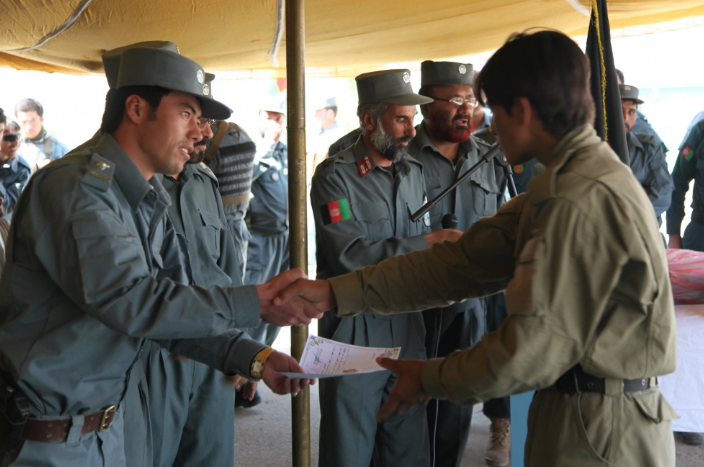 A newly graduated ALP recruit receives his certificate after a 3-week training program in Ghazni, Afghanistan. Photo by SPC Jessica DeBooy, CJSOTF-A, 26 Sep 2013. For many SOF teams the main focus was the Afghan Local Police – a key tool of establishing the ‘security’ part of VSO. However, the aspects of ‘governance’ and ‘development’ were not neglected. Governance. The SOF team would attempt to establish a good relationship with the District Governor – sometimes referred to as the DGov. The DGov is the key person in the advancing of local governance in the district. Some SOF teams would assist the DGovs in their travels to outlying villages and communities in the district – security, of course, being a major concern. Sometimes, either because of security issues – or corruption, or (too many other reasons to list) – the District Governor would also be located in the provincial capital or even Kabul. There were several programs funded and implemented by USAID, international organizations, and the Afghan government that were attempting to strengthen Afghan sub-national governance at the provincial and district level. ‘Community councils’ were established at village, community and district level to advance sub-national governance and development. SOF teams, where possible, would try to leverage these programs for the benefit of the VSO program. Many times the SOF teams would be interacting with traditional local governance structures such as ‘shuras’ and ‘jirgas’. The intent was to connect the local governance to the district, province, and central government agencies and institutions. Development. According to some counterinsurgency readings, establishing development projects goes hand-in-hand with security and governance in conducting stability operations at the local level. In some districts one could find representatives of other national governmental agencies such as the Ministry of Rural Rehabilitation and Development (MRRD), Ministry of Agriculture, Irrigation and Livestock (MAIL), and ministries and agencies. In less secure districts these ministry representatives often lived and worked in the provincial capitals. The SOF teams would attempt to leverage these developmental government organizations to ensure the people of the district were getting the governmental services they deserved and that the international donor nations were paying for. For a long time, there were many ‘actors on the scene’ in Afghanistan assisting with both development and governance. Many international governmental and non-governmental organizations were active in assisting with development and governance. SOF teams would seek these organizations out and attempt to leverage their efforts in order to have a synchronized Village Stability Operations effort at the district level. District Augmentation Teams (DATs). In addition to the SOF team and its enablers – individuals were deployed as part of a ‘District Augmentation Team’ (DAT) at district level where VSO was established. These personnel were assigned to the respective districts by the Combined Forces Special Operations Component Command – Afghanistan (CFSOCC-A) based in Kabul. The DATs were 1, 2, or 3-man teams usually on one-year long tours and were responsible for assisting in the governance and development aspects of Village Stability Operations. Many times the DATs came from the SOF community but there were quite a few who were part of the Af-Pak Hands program. Provincial Augmentation Teams (PATs). In addition to the DATs, there were some 1-3 man teams assigned at the provincial level to assist in the Village Stability Operations effort. Many times the PATs were co-located with conventional force brigades or battalion units. The PATs assisted in the governance and development aspects at provincial level and assisted the DATs and SOF teams working at the district level. CJSOTF-A. The Combined Joint Special Operations Task – Force was located at Bagram Airfield (just north of Kabul). The CJSOTF-A was commanded by a U.S. Army Special Forces Colonel (O6) who had as many as five Special Operations Task Forces (SOTFs) under his command. The Special Forces groups, NAVY SEALs, and MARSOC would field these battalion-sized SOTFs across the country of Afghanistan. The VSO teams came from the the SOTFs. CFSOCC-A. The Combined Forces Special Operations Component Command -A had the CJSOTF-A under its command. CFSOCC-A, a one-star command, was responsible for the U.S. and some of the other Coalition SOF operating within Afghanistan. However, many of the other Coalition SOF worked under NATO SOF; primarily working with the Afghan Ministry of Defense special police units. The U.S. counterterrorist force (JSOC) had its units in country as well, but were not under CFSOCC-A command. Eventually, the NATO Special Operations Component Command – Afghanistan (NSOCC-A) and Special Operations Joint Task Force – Afghanistan (SOJTF-A) – a two-star command – would be established and all three SOF entities would come under the command of NSOCC-A / SOJTF-A. VSNCC. For a few years CFSOCC-A had established the Village Stability National Coordination Center or VSNCC. 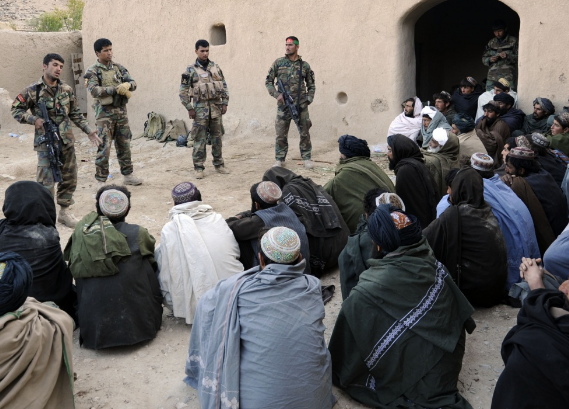 The VSNCC was a small group (15-20 personnel) of Special Forces, Civil Affairs, and other SOF personnel commanded by an O-6 who worked Village Stability Operations issues within the International Security Assistance Force (ISAF) and with the various Afghan ministries. Liaison officers worked with the Ministry of Defense, Ministry of Interior, Ministry of Rural Rehabilitation and Development, and others to advance the interests of the Village Stability Operations program. Some members of the VSNCC specialized in either governance and development and worked with entities such as the Independent Directorate of Local Governance (IDLG) or with Non-Governmental Organizations (NGOs) concerned with sub-national governance or development. VSO a Successful Program. The Village Stability Operations program was successful where it was applied. One key element of the VSO program was the use of SOF personnel to implement it. SOF personnel are uniquely selected, trained, and suited for VSO type operations. While its effectiveness may have been fleeting in some districts – this was usually the result of the deterioration of security or the withdrawal of the SOF teams conducting the VSO mission. It is unfortunate that the VSO program was not instituted earlier in the Afghan conflict; if it had a longer duration of operation the situation in Afghanistan might be very different today. The VSO program was, when combined with other efforts by the Coalition, Non-Governmental Agencies, and Private Volunteer Organizations, probably one of the best methods of connecting the people of the local village, community and district to the provincial government and national government. Overall, the Village Stability Operations program was a success where it was applied for the short duration of its existence. The Village Stability Operations model is one that should be to be considered for future counterinsurgency and stability operations environments. The ‘bottom-up’ approach focus on the establishing security, governance, and development at the local level – village, community, and district level. The ‘top-down’ approach emphasized a strong central government, robust national institutions, development programs funded and administered from central locations, and a strong national army and police force. Major Jim Gant’s article One Tribe at a Time captured the attention of high-ranking officers within the U.S. military searching for a solution to defeating the insurgency. His unconventional approach gained initial support from the U.S. Special Forces community as well. It was posted on Steven Pressfield Online and published by Nine Sisters Publications, 2nd Edition, 2 Dec 2009. See Seth Jones’ book In the Graveyard of Empires: America’s War in Afghanistan, W.W. Norton & Company, 2009. The author advocates for a “bottom up” approach to defeating the Taliban insurgency in Afghanistan. Some of these ‘community councils’ would find themselves competing against each other. For instance the Ministry of Rural Rehabilitation (MRRD) and Independent Directorate of Local Governance (IDLG) both established local community councils with parallel objectives. Connett, Col. Ty and Col. Bob Cassidy, “Village Stability Operations: More than Village Defense”, Special Warfare Magazine, July-September 2011. Hanlin, Rory, “One Team’s Approach to Village Stability Operations”, Small Wars Journal, September 4, 2011. Jones, Seth & Arturo Munoz, Afghanistan’s Local War: Building Local Defense Forces, RAND Corporation, 2010. Moyar, Mark, Village Stability Operations and the Afghan Local Police, Joint Special Operations University, JSOU Report 14-7, October 2014.